Flame Writer: Buccaneer Blogfest: GIVEAWAY, MATEYS! PRECIOUS BOUNTY! 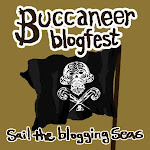 Buccaneer Blogfest: GIVEAWAY, MATEYS! PRECIOUS BOUNTY! I was planning to give a book away. ;_; Sadly this isn't the case. I'm only seventeen (As of five days!) ﻿so I don't have my own money account to buy stuff with on Amazon. So FFFFFFFF to that idea. INSTEAD, I am giving away a homemade craft. 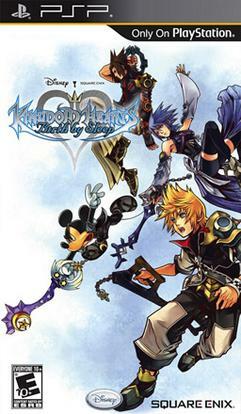 Have any of you ever heard of KINGDOM HEARTS: BIRTH BY SLEEP? It's okay if you haven't! :P I'll explain. In the game, friendship is a VERY big theme. It struck a chord in me and I took it upon myself to start crafting the so-called 'WAYFINDERS' the main character share, which is a very important symbol of their friendship. A main theme of my book is also friendship, learning to trust those who you thought you couldn't and re-learning how to trust after a period of distrust. Yada yada. That's one of the Wayfinders I made. I am offering JUST ONE of these homemade beauties to the lucky winner of this rafflecopter contest. (: Also, heads up, it can be ANY TWO COLORS that you want. You'll also pick a third color for the centerpiece. By this I hope to extend my friendship to all of those who participated in his bloghop, whether they find themselves the winner of this giveaway or not! Good luck and thanks in advance for participating! Ahh I wondered who it was! :P LOL, thankies, I'm well aware of that fact and not looking forward to it AT ALL. ): Thanks for participating, friend! When the phone rings and I see my bestie's name in the caller ID, that's usually enough to get a smile and happy squeal out of me. I love talking with her! ...even when we spend half our time bickering about idiotic things, the other half makes it all worth it! WHOOO bickering about idiotic things! That's ALWAYS fun. (: Yes, friendship is very important. :D Thanks for participating, Danielle!